Attorney bio portraits have, thankfully, improved in recent years. 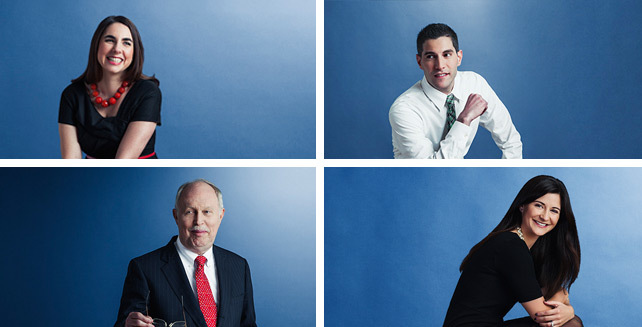 In the four years since we last wrote about attorney portraits – photos have gotten bigger, brighter and more striking than ever. What’s out: Gone are the rigid, formal photos that looked like they were shot in the basement of Sears (perhaps with the painted bookshelf in the background). What’s in: The newest crop of photos is much more casual and engaging. The formality of the past has given way to a more authentic approach. 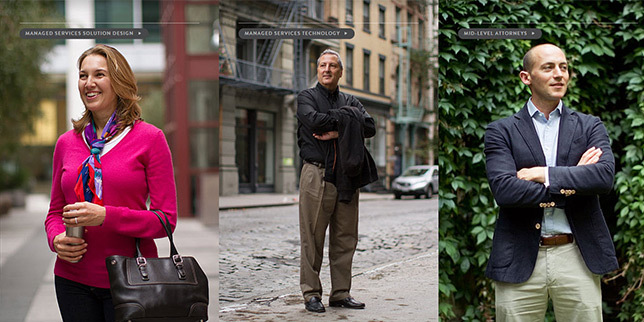 We’ve scoured the web looking for the best lawyer bio portraits. The results of our research are below. If you’ve got any to add, please leave a comment! When it comes to artistic originality, CMK wins top honors. This collection of portraits is worthy of a coffee table book. Each attorney has a different pose and is positioned uniquely within the canvas. In many cases, the subjects are mysteriously looking off-camera. 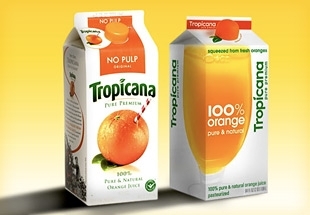 A fantastic brand-statement for a dynamic firm. These photos are not necessarily the best. 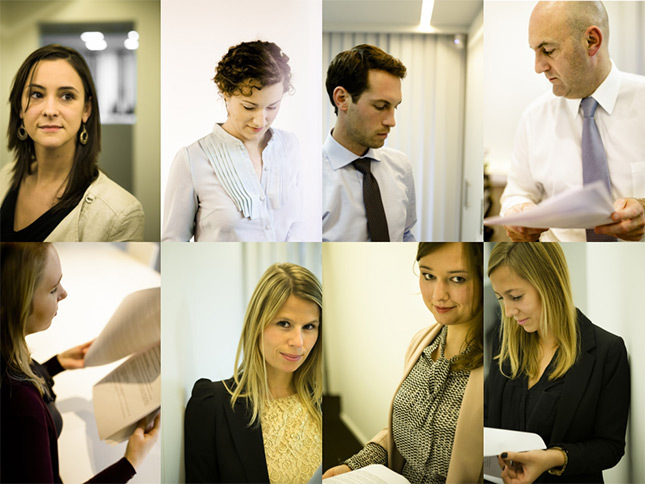 And they are not necessarily portrait photos – but we thought that they were interesting enough to be included. These portraits look like they were shot in the woods. This is clearly not the right look for every firm. However, it might be a good move if you’re located in Lake Oswego, Oregon and want to distinguish your firm from your big-city competitors back east. Did I leave anything out? If you know of any other great lawyer portraits, I'd love to hear about them. Leave a comment below. 16 comments... read them below or add one. We just learned that Peter Olson, one of our favorite photographers, recently shot some fantastic portraits for Sills Cummis. All of the photos are composed slightly differently – which allows each person to look as good as they can. Check out this detailed contact sheet of great shots. Unfortunately, the photos don’t look nearly as good on the Sill Cummis website. It’s a shame that such striking photos are used so small. And it appears that when the photos were added to the website, they were compressed to the point of blurriness. Too bad. Great article. 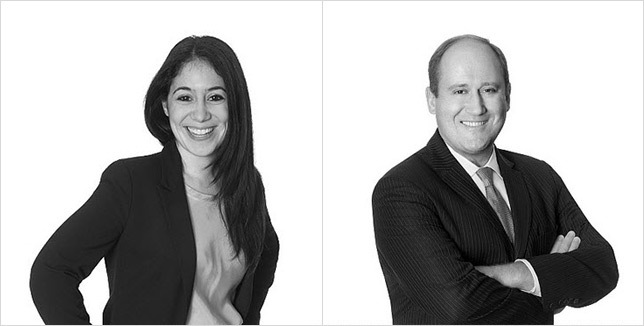 At Buckley King we try to capture the “realness” of a person — friendly and approachable. Enjoyed your article — and I completely agree with your findings. We at Conrad O’Brien went the photo route you explained and we were incredibly happy with our results. http://www.conradobrien.com. Lots of great examples here. 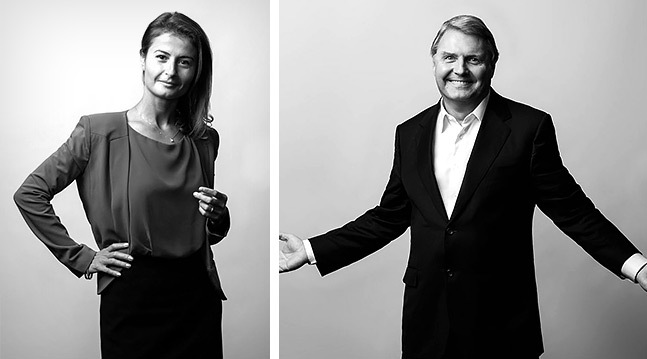 In reshooting our attorneys and professionals at Arent Fox over the last year, we embraced a similar approach – striking a balance between clean and corporate while infusing the personality of the individual and the firm in each portrait. Special thanks to Lauren Hughes who sent it in via Twitter. Those are great shots! Here are some more. http://mstpartners.com/ I hired Christine Cain to do these for MS&T’s new website. She is phenomenal. Every tilt of the head, every facial expression, every posture and more is carefully choreographed. She knows how to make a still image come alive and capture the essence of the individual. I believe, as do my subjects, an approachable look that conveys competence and a “deal maker” attitude works better than what I call the “Louisville Slugger” tough guy photo. 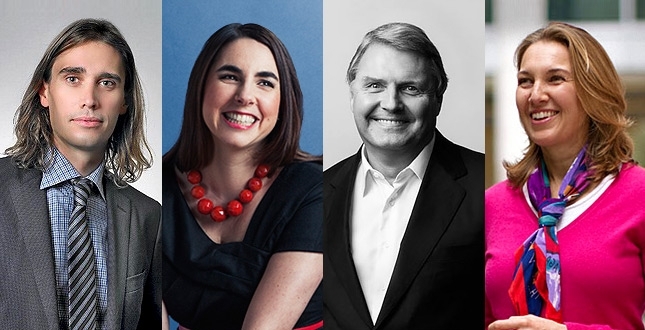 I agree it is time for bright, clean, corporate looking portraits. I have done the Low Key books background photos and let’s face it- books are out! Since these Bio-Photos are often used very small it is crucial to have depth and dimension in the lighting. You can see an example of this in a photo I made last month for Attorney At Law Magazine of Albert S. Dandridge, The Philadelphia Bar Association’s new Chancellor. What looks like an environmental portrait does indeed have my supplemental lighting. Dion, I agree with you entirely. 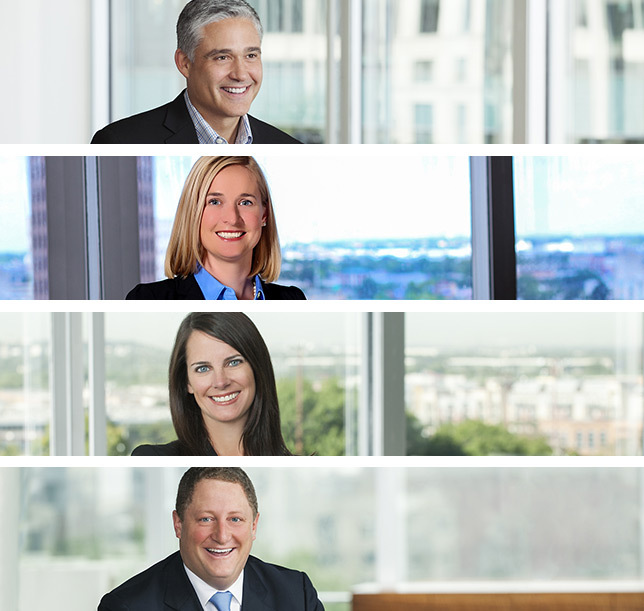 The new standard for attorney portraits is open, engaging and focused on individual personality while remaining brand appropriate for the firm. That’s my goal with all of my clients. The portraits you show from Boughton and Coblentz are fantastic examples of this trend in both studio and environmental settings. Wish I’d shot them–what higher compliment from a photographer than that? Hope to catch up with you and Robert at the next LMA event. 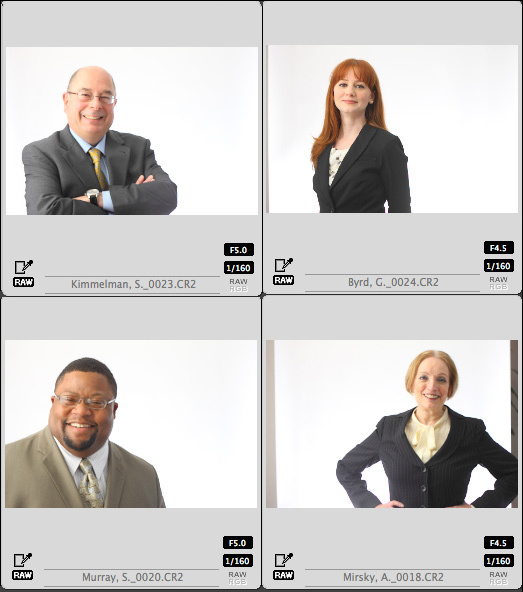 We did a great shoot for the Chicago-based family law firm of Reed and Centracchio. Simple white sweep for the attorney portraits (last one is not my image). We captured the two managing partners at high noon in Chicago using scrims and strobes to control the look. What an inspiring post! Such twists on the standard lawyer portrait. We love it when our clients are open to taking a creative “risk”. Doesn’t happen enough, especially in the corporate world. Funny how much appearance is a part of every business. Really goes to show how important marketing can be no matter what you’re trying to sell. Hey are you going to do this for 2016? I have some nice work on the Merchant and Gould site that you might be interested in. I was the photographer for the Coblentz Patch Duffy & Bass rebranding, sincere thanks for featuring my work here. It was a fantastic project to be a part of, especially because we were able to capture so much variety and everyone at the firm was so fantastic to work with. Thank you again, I really appreciate the kind words and am humbled to be listed with such talented photographers.